Our prices are wholesale and we sell only to the Pet Trade. Minimum Purchase of $100.00 applies. 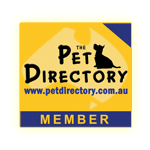 We have pet products for dogs, cats, birds, aquarium fish, rabbits, guinea pigs, mice and other small animals. Breakages or shortages must be reported to us within 48 hours of delivery. No credits will be issued until faulty goods are returned at your own costs to Jens Pet Products Pty Limited for examination. Items marked with retail prices will not be accepted for replacement or credit. Water damage inside air pumps or cracked heater glass tubes (unless new) will be void from claims. All claims must be returned with proof of date of purchase. We reserve the right to replace, repair or refund items at our own discretion. All goods remain the property of Jens Pet Products Pty Limited until full payment is received. We accept Cash - Business Cheques. Visa & Mastercard Credit Cards (via phone). No Eftpos facilities for debit card at present. Bank Fees for Dishonoured Cheques will be forwarded on to client. Any advice, recommendation, information or assistance or service provided by the Seller in relation to goods sold by it, or their use or application, is given in good faith but is provided without liability or responsibility on the part of Seller and without intention that Buyer should rely thereon. Seller warrants that the goods supplied shall be of merchantable quality. Seller's liability for defective goods and loss caused by defective goods is limited to replacement at the premises of seller any goods which Buyer is entitled to reject. In the event of an accepted claim Seller shall in no event be liable to pay to the Buyer any amount in excess of an amount received from it's supplier in respect thereof. Prices are subject to change without notice. Unless specified prices listed are single units excluding GST.